A federal appeals court panel has rejected a challenge to special counsel Robert Mueller's appointment in a case involving an associate of Roger Stone. WASHINGTON (AP) — A federal appeals court panel on Tuesday upheld Robert Mueller’s appointment as special counsel after his authority was challenged by a witness who had refused to appear before a grand jury related to the Russia investigation. The case was brought by Andrew Miller, an aide to longtime Trump campaign adviser and confidant Roger Stone. Prosecutors wanted Miller to testify as part of Mueller’s investigation into Russian interference in the 2016 election and ties to President Donald Trump’s campaign. 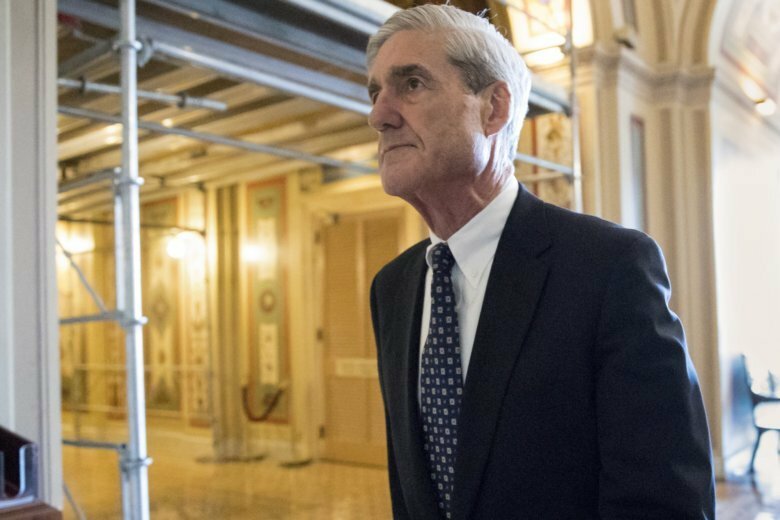 Miller’s attorneys claimed Mueller’s appointment was unconstitutional, making the grand jury subpoena invalid. They argued that Deputy Attorney General Rod Rosenstein did not have the authority to appoint Mueller to lead the investigation. Four separate federal judges have upheld Mueller’s appointment. In a statement, Miller’s attorney Paul Kamenar said he was disappointed with Tuesday’s ruling and was considering appealing to the full appellate court or the Supreme Court. Kamenar noted that the court took longer to rule on Miller’s appeal than it did on another challenge to a grand jury subpoena. That one, by an unidentified foreign corporation, is now before the Supreme Court. “The fact that the court took over three months to decide this appeal after oral argument compared to the three days it took in December to decide another challenge to a Mueller subpoena issued to an unnamed foreign corporation, demonstrates that this was a serious and substantial challenge,” he said. Stone was arrested last month and has pleaded not guilty to charges he lied to Congress, engaged in witness tampering and obstruction. The charges stem from conversations he had during the campaign about WikiLeaks, the anti-secrecy group that released material stolen from Democratic groups, including Hillary Clinton’s campaign. After Stone’s indictment, Kamenar said prosecutors still want Miller to appear before a grand jury as part of the investigation.